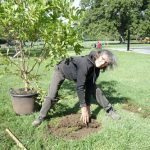 The Tivoli Tree Committee and volunteers met on Saturday morning to plant two Leonard Messel Magnolia and one Royal Star Magnolia by the new bus stop area of Memorial Park. Volunteer tree planters: Phyllis, Henry, Pete, Joel, and Dan. 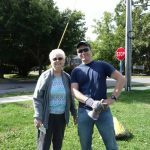 The Mayor and long – time resident Jackie tagged one of the Leonard Messel trees for her Commemorative Tree. Sign up here and we’ll send you updates and announcements of what we’re up to and how you can join us. 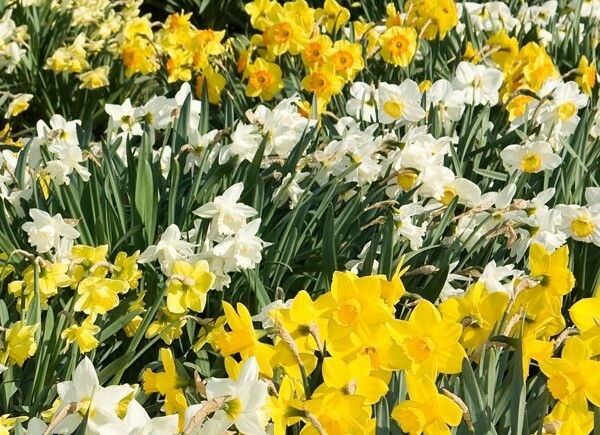 We’ll be planting lots of daffodils this fall and will need volunteers! We’re thrilled to receive this donation from the Hudson Valley Garden Association to plant these bulbs near the entrance to Tivoli. 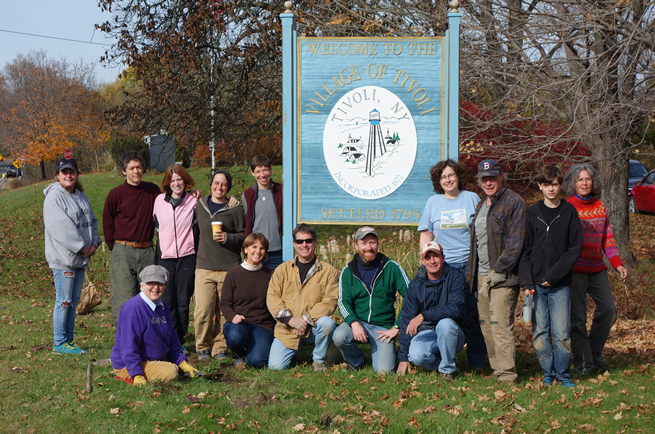 15 volunteers came together on Saturday AM, October 31 to plant the bulbs. Can’t wait until next spring! The Green Committee of Tivoli is pleased to introduce its new commemorative tree program, offering Tivoli residents a meaningful “green” way of marking a significant event or to honor a loved one. 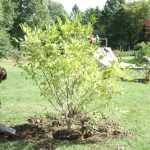 This program, modeled on others like it, allows residents to purchase a commemorative tree to plant, along with a dedication plaque, in a public space within the village of Tivoli. The Village of Tivoli has identified a number of public spaces where trees could be planted, as well as consulted with a professional arborist to identify suitable tree varieties to be planted in each location, and we will be updating the Google map with further information about each of the sites as we work our way more fully through the Village streets and pubic areas. 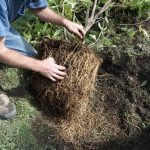 If you have any recommendations for a site you think would benefit from a new tree, please don’t hesitate to let us know at info@tivoligreen.org. The cost of purchasing a commemorative tree is $350, which includes a dedication plaque, assistance from the Village Department of Public Works and the Tivoli Green Committee to prepare the site and plant the tree, and regular watering in the critical few weeks immediately following the tree’s planting. Copyright © 2006 Mid-Hudson News Network, a division of Statewide News Network, Inc. This story may not be reproduced in any form without express written consent. Tivoli – This weekend, a specialized unit of professionals dispensed by S.W.A.T. officials will roll into the village to evaluate a major local concern. It’s not part of a TV reality op show, but rather, Tivoli ’s latest endeavor to protect the environmental master plan for the village. The S.W.A.T. 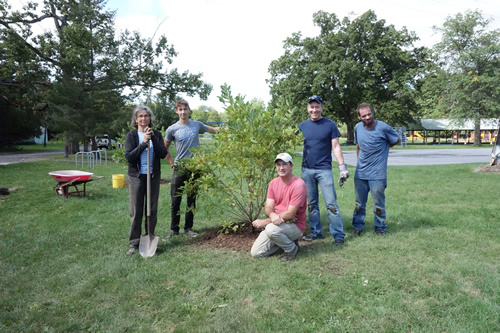 team – or Student Weekend Arborist Team – from Cornell University will help the community and its public and civic officials to evaluate the quality and diversity of its trees. 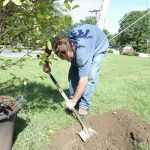 Tivoli recently completed the planting of more than 80 new trees within the village, as part of a beautification and traffic abatement program. The inventory completed by the S.W.A.T. team will help to establish a street tree program for the village. 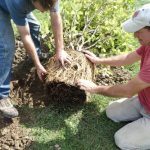 The Student Weekend Arborist Team helps small communities to manage their community trees and urban forests. It’s a means by which a small community can affordably get started in a street tree program. The team works with a community to organize the completion of an inventory of all the street trees within the municipal boundary. The team will gather data on tree species, distribution, health and maintenance needs. After the inventory is completed the data is used to help formulate a plan to manage trees within the community. After the inventory is completed it is recommended that a qualified, certified arborist evaluate potentially hazardous and/or risk trees in the community.